I haven't had a lot of time to play Blitz since it's release - yesterday i jumped into single player to look closely on how things changed. The first thing I did was level flight speed tests at sea level. I've noticed maximum speeds have been reduced across the board. I seem to remember this is to do with the fact that TF have managed to squash the atmosphere bug and hence all speeds should reflect accurate levels now. i.e. they were slightly too fast before. 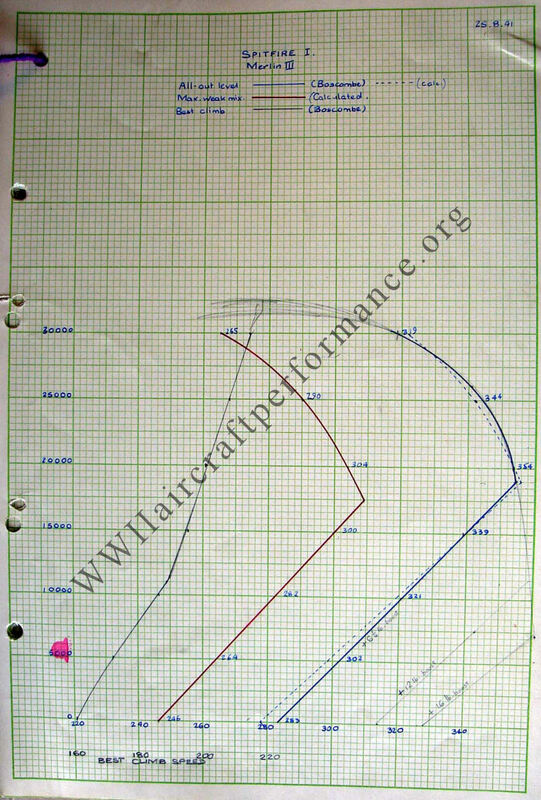 I was a bit surprised to see that I'm only getting roughly 300mph with the Spitfire 1a 100 oct. I'm no expert - hence asking here... Am I doing something wrong, should the spitfire be faster at sea level? Or is the 300mph the max it can do now? - it's from '41 rather then BoB, which was a year before the test. This meant that an "emergency boost" of +12 pounds per square inch was available for five minutes, with pilots able to call on 1,310 hp (977 kW) at 3,000 rpm at 9,000 feet (2,743 m). This boosted the maximum speed by 25 mph (40 km/h) at sea level and 34 mph (55 km/h) at 10,000 ft (3,000 m) and improved the climbing performance between sea level and full throttle height. Which makes me think 282 + 25 should give us 307 which I think gives the spitfire a fighting chance and a realistic option of catching the low powered 109's on the deck. When measuring speeds, make sure you do so in 'no cockpit' mode and not off the speedometer in the cockpit. Also make sure radiators are closed down to the most efficient opening. Also maximum speed is usually attained at approx. 95% pitch. You should be able to get approx. 305-308 mph at sea level. Overall, the speeds of all aircraft have been reduced a bit a sea level. That's what I wanted to hear. So I've tried it again with somewhat better results. Like you said the wonderwoman view does provide different readouts. I use 2 devices for external readouts - a little lcd that gives me the IAS from the dashboard in digital form and an android table running an app that gives me an analog representation of all the instruments on dashboard. So both give me a form of the IAS speed readout from the cockpit. On those ones I was able to measure up to 300mph max. The wonderwoman view gives me a slightly higher readout from what I found. But as it is an analog readout It's impossible to pinpoint the actual value. The gauge is small and blurry. It could have showed 305mph or so, but I can't be definitely sure without seeing a digital readout. The game must have a TAS value somewhere for this purpose as it's feeding the analog gauge in the wonderwoman view - but I don't know if it's possible to have it fed to the external device. Probably would be an unfair advantage to have it. So it looks like the IAS and TAS are fairly close at sea level but I imagine due to conditions they will differ ever so slightly ( air temperature, latitude/longitude). Anyway that's a new realization for me, up to now I thought that the IAS in Cliffs will basically show TAS at sealevel.